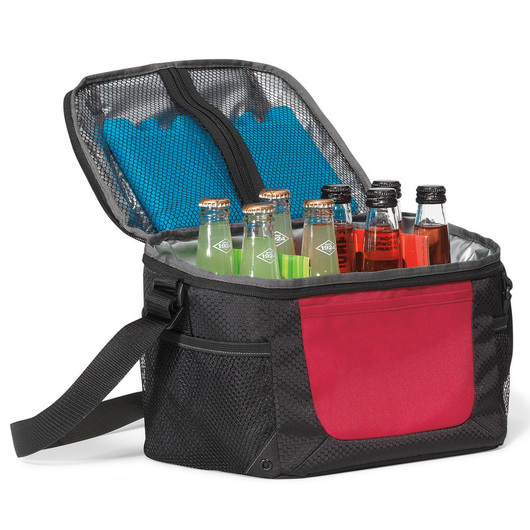 Food and drinks are best served cold and fresh with out Beachside cooler bag! Our durable cooler bags are just the right size for lunch or travel. They have 10.3 litres and 18 can capacity. They are made from durable 600D polyester and 420D honeycomb polyester fabrics. 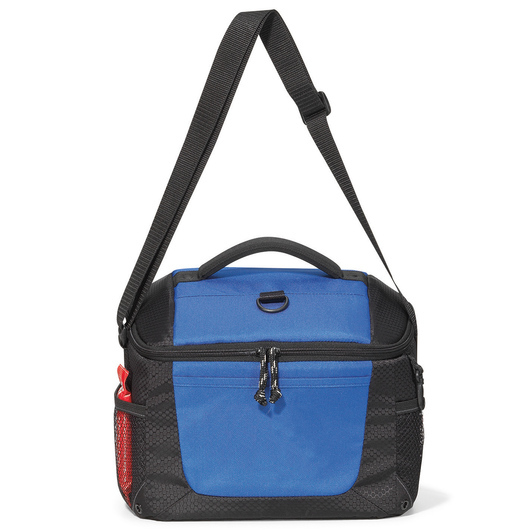 It also features front pocket, dual side mesh pockets, padded top grab handle, insulated main compartment with zippered closure, interior zippered lid pocket sized to fit an ice pack (not included), grommet details and D-ring for added appeal, PEVA and PU fabric backing (PVC free), heat-sealed interior, and it is Phthalate free. 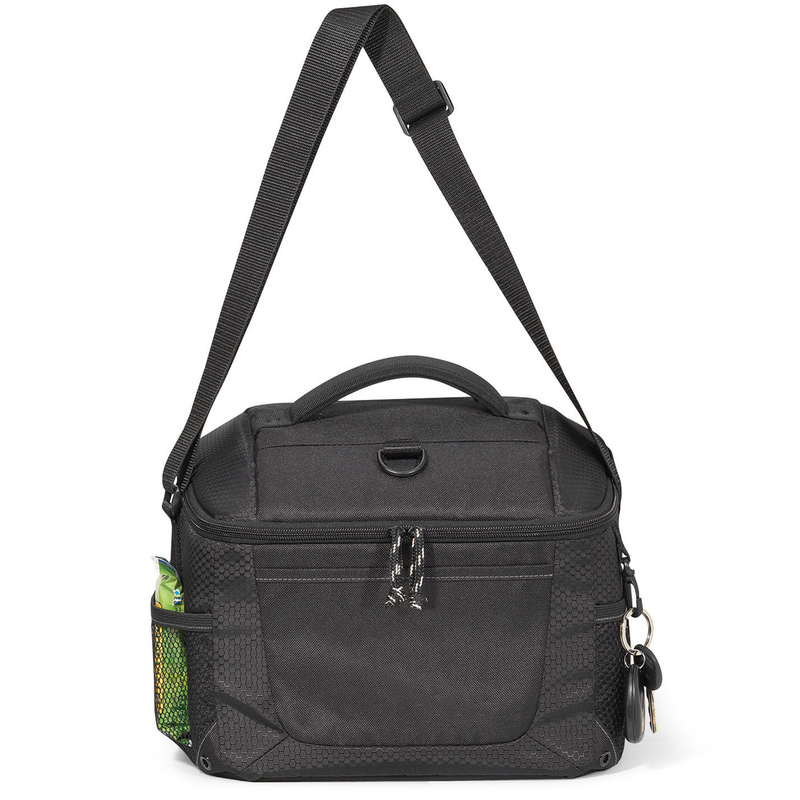 Perfect for school, work, travel, & picnics.